Summary: A minor commits DUI if they operate a motor vehicle in a public place while having any detectable amount of alcohol in their system. 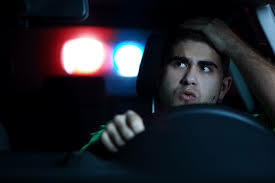 In Texas, only a minor can be charged with Driving Under the Influence, and it is a Class C misdemeanor. It does not require that a minor be intoxicated while behind the wheel, but merely that they drove with "any detectable amount of alcohol in [their] system." On the other hand, anyone - minor or not - can be charged with Driving While Intoxicated, which can range from a Class B misdemeanor to a felony offense depending on the circumstances. That being said, DWI does require proof that the driver was actually intoxicated, rather than merely "under the influence" of alcohol. Whether you or a loved one are facing a charge of Driving Under the Influence or Driving While Intoxicated, it is imperative that you retain experienced counsel to protect your future. Even though it is a Class C misdemeanor, a DUI charge can still lead to fines, license suspensions, and the loss of future career opportunities. Call one of our experienced criminal defense attorneys at the Law Office of James & Reynolds to discuss how we can help.